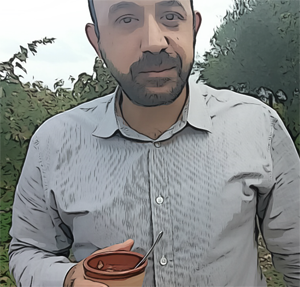 Giorgos Giannakakis works as a senior technical staff member at Computational Medicine Laboratory of Institute of Computer Science at Foundation for Research and Technology Hellas. He received his Dipl-Ing. in Electrical and Computer Engineering from the National Technical University of Athens (NTUA) in 2003, his MSc and PhD in Biomedical Engineering from the Faculty of Medicine of the University of Patras - School of Electrical and Computer Engineering, NTUA in 2005 and 2009 respectively. He has worked as scientific associate at the Institute of Communications and Computer Systems (ICCS) participating in national and european research projects, as volunteer analyst/programmer at the Mental Health Research Institute, as self-employed electrical engineer in the implementation of electromechanical works and as freelance web developer. Directorate of Technical Works of Chania Regional Unit. Region of Crete, Directorate of Technical Works. Engineer in place, TYDK of Crete Region. [J1] P. Henriquez, B.J. Matuszewski, Y. Andreu-Cabedo, L. Bastiani, S. Colantonio, ..., A. Bjorgan, G. Giannakakis, M. Pediaditis, F. Chiarugi, M. Tsiknakis, and K. Marias. Mirror mirror on the wall... an unobtrusive intelligent multisensory mirror for well-being status self-assessment and visualisation. IEEE Transaction on Multimedia, 19(7), pp. 1467–1481, July 2017. [J2] G. Giannakakis, M. Pediaditis, D. Manousos, E. Kazantzaki, F. Chiarugi, P.G. Simos, K. Marias, and M. Tsiknakis. Stress and anxiety detection using facial cues from videos. Biomedical Signal Processing and Control, 31, pp. 89–101, 2017. [J3] G. Stavrinidis, K. Michelakis, V. Kontomitrou, G. Giannakakis, M. Sevrisarianos, G. Sevrisarianos, N. Chaniotakis, Y. Alifragis, G. Konstantinidis. SU-8 microneedles based dry electrodes for electroencephalogram. Microelectronic Engineering, 159, pp. 114–120, 2016. [J4] Y. Andreu, F. Chiarugi, S. Colantonio, G. Giannakakis, G. Giorgi, P. Henriquez, E. Kazantzaki, D. Manousos, K. Marias, MA. Matuszewski, BJ. Pascali, M. Pediaditis, G. Raccichini, and M. Tsiknakis. Wize mirror - a smart, multisensory cardio-metabolic risk monitoring system. Computer Vision and Image Understanding, 148:3–22, 2016. [J5] C. Papageorgiou, A.D. Rabavilas, X. Stachtea, G.A. Giannakakis, M. Kyprianou, G.N. Papadimitriou, and C.N. Stefanis. The interference of introversion–extraversion and depressive symptomatology with reasoning performance: A behavioural study. Journal of Psycholinguistic Research, 41(2):129–139, 2012. [J6] C. Papageorgiou, G.A. Giannakakis, K.S. Nikita, D. Anagnostopoulos, G.N. Papadimitriou, and A. Rabavilas. Abnormal auditory ERP N100 in children with dyslexia: comparison with their control siblings. Behavioral and Brain Functions, 5, 2009. [J7] J. Stoitsis, G.A. Giannakakis, C. Papageorgiou, K.S. Nikita, A. Rabavilas, and D. Anagnostopoulos. Evidence of a posterior cingulate involvement Brodmann area 31 in dyslexia: a study based on source localization algorithm of event-related potentials. Progress Neuropsychopharmacology Biological Psychiatry, 32(3):733–738, April 2008. [J8] C. Papageorgiou, D. Anagnostopoulos, G.A. Giannakakis, K. Sakelariou, N. Tsiaparas, P. Paraskevopoulou, K. Nikita, A. Rabavilas, and C. Soldatos. Preattentive deficits in developmental disorders of scholastic skills. Neuroreport, 16(16):1829–32, November 2005. [Β1] G. Giannakakis, V. Sakkalis, M. Pediaditis, and M. Tsiknakis. Methods for Seizure Detection and Prediction: An Overview. Neuromethods, Springer Science, 2014. [C1] P. Vorgia, G. Giannakakis, S. Voutoufianakis, D. Champsas, E. Dimitriou, and M. Tsiknakis. Focal epileptic seizures anticipation based on heart rate variability features. Epilepsia, 59, (suppl. 3), p. 269, In 13th European Congress on Epileptology (ECE), Vienna, 26-30 August 2018. [C2] D. Melhart, K. Sfikas, G. Giannakakis, G. Yannakakis, and A. Liapis. A study on affect model validity: Nominal vs ordinal labels. In 2018 IJCAI workshop on AI and Affective Computing, Stockholm, Sweden, 16-19 July 2018. [C3] G. Giannakakis, D. Manousos, P. Simos, and M. Tsiknakis. Head movements in context of speech during stress induction. In 13th IEEE Conference on Automatic Face and Gesture Recognition, Xi’an, China, 4-7 March 2018. [C4] G. Giannakakis, D. Manousos, and M. Tsiknakis. 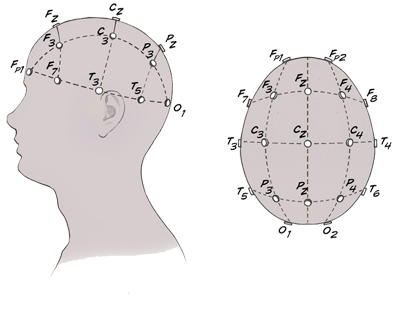 Evaluation of head pose features for stress detection and classification. In IEEE Conference on Biomedical and Health Informatics (BHI), Las Vegas, Nevada - USA, 4-7 March 2018. [C5] K. Giannakaki, G. Giannakakis, C. Farmaki, and V. Sakkalis. Emotional state recognition using advanced machine learning techniques on EEG data. In 30th IEEE International Symposium on Computer-Based Medical Systems, Thessaloniki, 22-24 June 2017. [C6] O. Simantiraki, G. Giannakakis, A. Pampouchidou, and M. Tsiknakis. Stress detection from speech using spectral slope measurements. In MINDCARE2016, 6th EAI International Symposium on Pervasive Computin Paradigms for Mental Health, Barcelona, 28-29 November 2016. [C7] A. Pampouchidou, O. Simantiraki, A. Fazlollahi, M. Pediaditis, D. Manousos, A. Roniotis, G. Giannakakis, F. Meriaudeau, P. Simos, K. Marias, F. Yang, and M. Tsiknakis. Depression assessment by fusing high and low level features from audio, video, and text. In 6th International Workshop on Audio/Visual Emotion Challenge (AVEC ’16), 2016. [C8] G. Giannakakis, M. Pediaditis, G. Stavrinidis, G. Konstantinidis, V. Kritsotakis, V. Tsakanikas, M. Ligerakis, V. Sakkalis, P. Vorgia, and M. Tsiknakis. Α computational platform for continuous seizure anticipation monitoring and clinical evaluation. In 13th International Conference on Wearable, Micro and Nano Technologies for Personalized Health, Heraklion, Greece, 29-31 May 2016. [C9] G. Giannakakis, P. Vorgia, S. Voutoufianakis, M. Pediaditis, D. Champsas, and M. Tsiknakis. 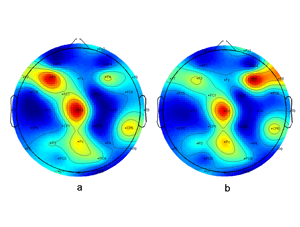 Low frequency preictal EEG waves preceding epileptic seizures originating from right frontal lobe. In 31st International Epilepsy Congress (IEC), Istanbul, 5-9 September 2015. [C10] G. Giannakakis, D. Grigoriadis, and M. Tsiknakis. Detection of stress/anxiety state from EEG features during films watching. In Proceedings of the 37th Annual International Conference of the IEEE Engineering in Medicine and Biology, Milano, Italy, 25-29 August 2015. [C11] M. Pediaditis, G. Giannakakis, F. Chiarugi, D. Manousos, A. Pampouchidou, E. Christinaki, G. Iatraki, E. Kazantzaki, P. Simos, K. Marias, and M. Tsiknakis. 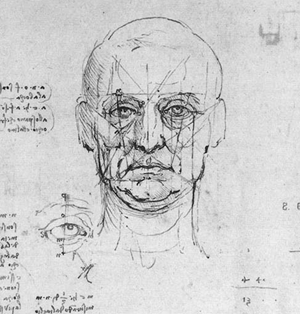 Extraction of facial features as indicators of stress and anxiety. In Proceedings of the 37th Annual International Conference of the IEEE Engineering in Medicine and Biology, Milano, Italy, 25-29 August 2015. [C12] MA Pascali, S. Colantonio, G. Raccichini, M. Martinelli, D. Giorgi, G. Coppini, P. Marraccini, B. Matuszewski, Y. Cabedo, P. Castellano, T. Stromberg, M. Larsson, L. Randeberg, O. Salvetti, G. Giannakakis, M. Pediaditis, D. Germanese, and M. Milanic. Mirror mirror on the wall... an inteligent multisensory mirror for welbeing self-assesment. In Proceedings of the IEEE International Conference on Multimedia and Expo, Torino, Italy, 29 June-3 July 2015. [C13] E. Christinaki, G. Giannakakis, F. Chiarugi, M. Pediaditis, G. Iatraki, D. Manousos, K. Marias, and M. Tsiknakis. Comparison of blind source separation algorithms for optical heart rate monitoring. In Proceedings of the 4th International Conference on Wireless Mobile Communication and Healthcare, Athens, Greece, 3-5 November 2014. [C14] P. Vorgia, S. Voutoufianakis, D. Champsas, V. Kritsotakis, M. Pediaditis, G. Giannakakis, E. Dimitriou, E. Matzourani, and M. Tsiknakis. Presentation study for the development of non invasive epileptic seizure prediction device and electronic health medical record of epileptic patients. In Proceedings of the 9th Panhellenic Congress of Epilepsy, Athens, Greece, 17-19 October 2014. [C15] F. Chiarugi, G. Iatraki, E. Christinaki, D. Manousos, G. Giannakakis, M. Pediaditis, A. Pampouchidou, K. Marias, and M. Tsiknakis. 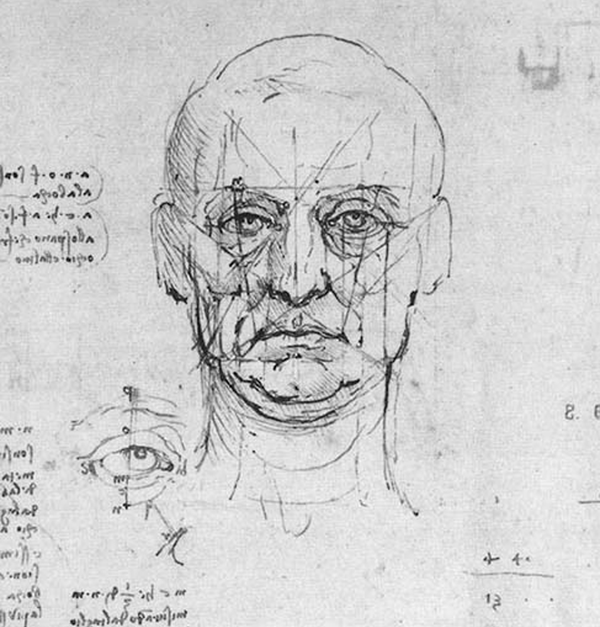 Facial signs and psycho-physical status estimation for well-being assessment. In Proceedings of the 7th International Conference on Health Informatics, Angers, France, 3-6 March 2014. [C16] M. Antonakakis, G. Giannakakis, M. Tsiknakis, S. Micheloyannis, and M. Zervakis. Synchronization coupling investigation using ICA cluster analysis in resting MEG signals in reading difficulties. In Proceedings of the 13th IEEE International Conference on Bioinformatics and Bioengineering, Chania, Greece, 10-13 November 2013. [C17] P. Vorgia, G. Giannakakis, V. Sakkalis, M. Pediaditis, C. Farmaki, S. Voutoufianakis, and M. Tsiknakis. Absence detection using approximate entropy. In Proceedings of the 8th Panhellenic Congress of Epilepsy, Thessaloniki, Greece, 18-20 October 2013. [C18] G. Giannakakis, V. Sakkalis, M. Pediaditis, C. Farmaki, P. Vorgia, and M. Tsiknakis. An approach to absence epileptic seizures detection using approximate entropy. In Proceedings of the 35th Annual International Conference of the IEEE Engineering in Medicine and Biology, Osaka, Japan, 3-7 July 2013. [C19] V. Sakkalis, G. Giannakakis, C. Farmaki, A. Mousas, M. Pediaditis, P. Vorgia, and M. Tsiknakis. 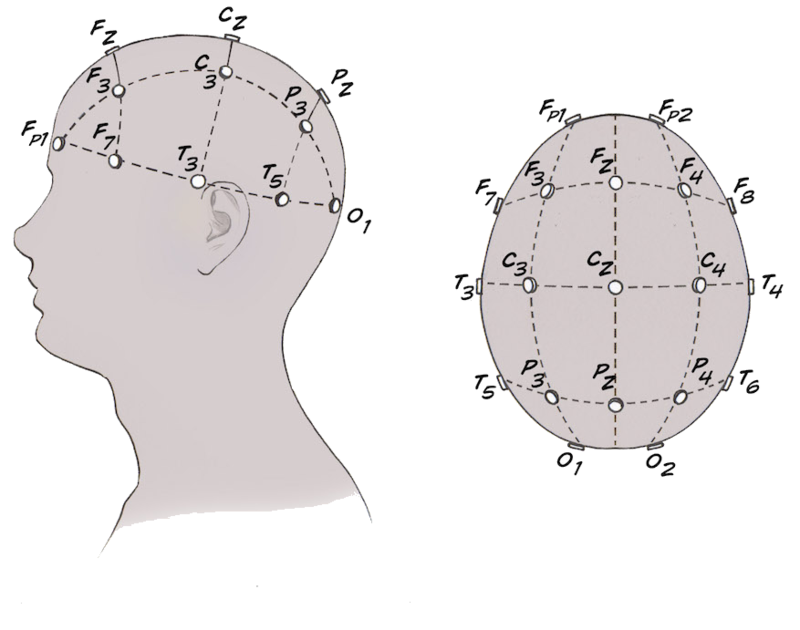 Absence seizure epilepsy detection using linear and nonlinear EEG analysis methods. In Proceedings of the 35th Annual International Conference of the IEEE Engineering in Medicine and Biology, Osaka, Japan, 3-7 July 2013. [C20] K. Michalopoulos, V. Iordanidou, G.A. Giannakakis, K.S. Nikita, and M. Zervakis. 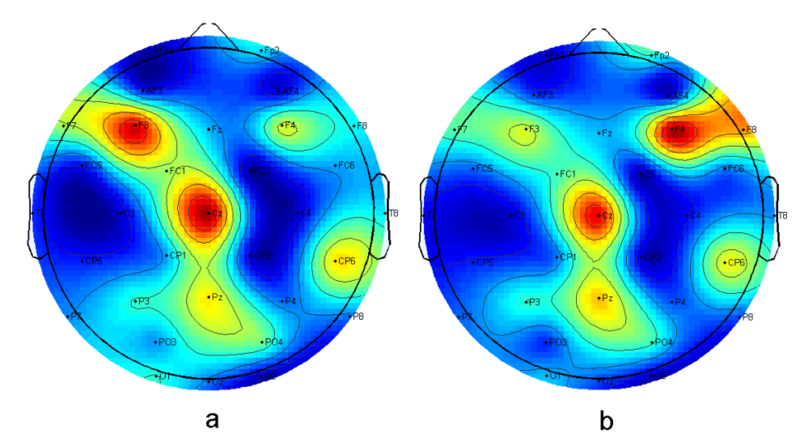 Characterization of evoked and induced activity in eeg and assessment of intertrial variability. In Proceedings of the 10th International Workshop on Biomedical Engineering, Kos Island, Greece, 5-7 October 2011. [C21] I.I. Andreadis, G.A. Giannakakis, C. Papageorgiou, and K.S. Nikita. Detecting complexity abnormalities in dyslexia measuring approximate entropy of electroencephalographic signals. In Proceedings of the 31st Annual International Conference of the IEEE Engineering in Medicine and Biology, Minneapolis, USA, 2-6 September 2009. [C22] G.A. Giannakakis, N.N. Tsiaparas, C. Papageorgiou, and K.S. Nikita. Spectral entropy of dyslexic erp signal by means of adaptive optimal kernel. In Proceedings of the 16th international conference on Digital Signal Processing, DSP’09, pages 81–86, Santorini, Greece, 2009. IEEE Press. [C23] G.A. Giannakakis, N.N. Tsiaparas, M.-F.S. Xenikou, C.C. Papageorgiou, and K.S. Nikita. 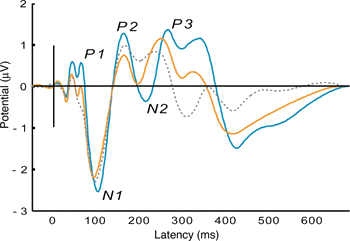 Wavelet entropy differentiations of event related potentials in dyslexia. In Proceedings of the 8th IEEE International Conference on Bioinformatics and Bioengineering, Athens, Greece, 8-10 October 2008. [C24] G.A. Giannakakis and K.S. Nikita. 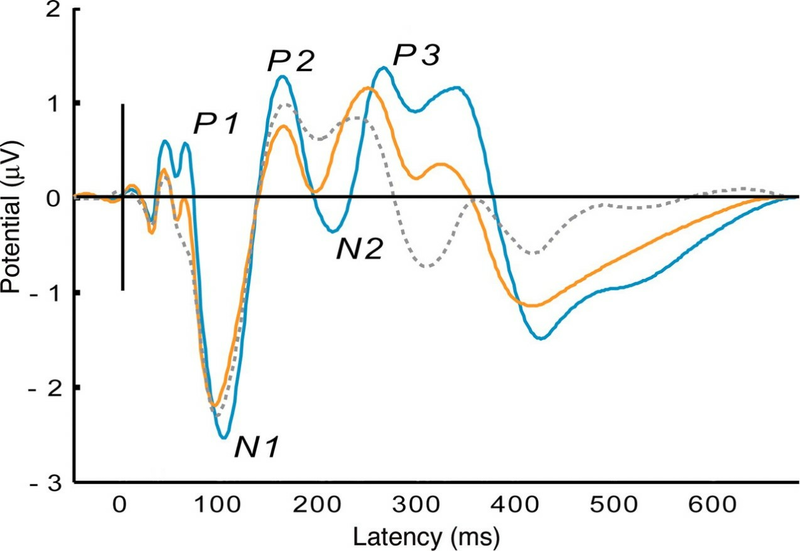 Estimation of time-varying causal connectivity on EEG signals with the use of adaptive autoregressive parameters. In Proceedings of the 30th Annual International Conference of the IEEE Engineering in Medicine and Biology, pages 3512–3515, Vancouver, Canada, 20-24 August 2008. [C25] G.A. Giannakakis, M. Vavatsioula, C. Papageorgiou and K.S. Nikita. Statistical time–frequency differentiations of ERP in dyslexia using matching pursuit algorithm. In Proceedings of the 6th European Symposium on Biomedical Engineering, Chania, Greece, 19-21 June 2008. [C26] Giorgos Giannakakis. Localization of main intracranial sources of brain activity using parametric methods solving the inverse problem. In 20th Panhellenic Congress of Psyghiatry, Chersonisos, Crete, 14-18 May 2008. [C27] D. Anagnostopoulos, G. Giannakakis, J. Stoitsis, K. Nikita, C. Papageorgiou. Patterns of preattentive processing in children with dyslexia: A psychophysiological investigation. In Proceedings of the 1st Eastern European Psychiatric Congress, Psychiatriki 18, page 55 (Supplement 1), Thessaloniki, Greece, 21-23 September 2007. [C28] G. Giannakakis, J. Stoitsis, G. Trichopoulos, K. Nikita, Ch. Papageorgiou, D. Anagnostopoulos, A. Rabavilas, C. Soldatos. Investigation of specific learning difficulties on the information flow in multichannel EEG signals. In Proceedings of the 5th European Symposium on Biomedical Engineering, Patras, Greece, 7-9 July 2006. [C29] G. Polychronaki, J. Stoitsis , G. Tsirogiannis, G. Giannakakis, A. Psegiannakis, S. Gatzonis, A. Chatzis, A. Siatouni, M. Stefanatou, N. Georgakoulias, M. Papathanasiou, M. Remoundou, E. Aggelopoulos, C. Baltogiannis, P. Sdrolias, E. Singounas, D. Sakas, K. Nikita. Design and development of a web based database system for the management and analysis of epileptic patients data- epilepsy database epilda. In 7th European Congress on Epileptology, EPILEPSIA 47, page 67 Suppl. 3, Helsinki, Finland, 2-6 July 2006. [C30] G. Tsirogiannis, G. Giannakakis, G.E. Polychronaki, J. Stoitsis, A. Psegiannakis, S. Gatzonis, A. Chantzis, A. Siatouni, M. Stefanatou, N. Georgakoulias, M. Papathanasiou, M. Remoundou, C. Mpaltogiannis, P. Sdrolias, H. Aggelopoulos, E Syggounas, D. Sakas, K. Nikita. Structure and functionality presentation of management and analysis database of patients with epilepsy - epilepsy database epilda-. In 20th Panhellenic Conference of Greek Neurologists, Larisa, Greece, 16–19 March 2006. Seizure detection and anticipation algorithms using biosignals (EEG, ECG, respiration, etc). Stress assessment using facial cues from videos. Dyslexia evaluation using brain dynamics response (event related potentials). Emotion recognition from EEG signals.